A federal grand jury has indicted Microsoft’s former director of Sports Marketing and Alliances Jeff Tran for allegedly trying to create more than $1.4 million in fake invoices, the Department of Justice announced on Thursday. A big part of Tran’s job was to oversee Microsoft’s marketing partnership with the National Football League. 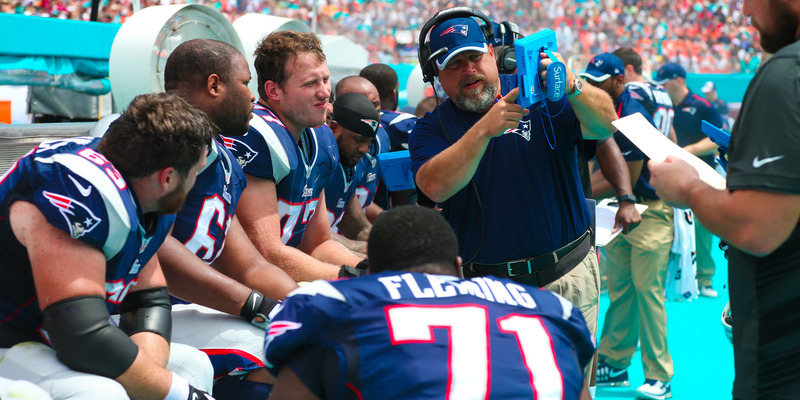 The most prominent part of that relationship is the NFL’s use of Surface tablets on the sidelines of games. Last year, the NFL signed a renewed, five-year contract for the Surface tablets. But what tipped Microsoft off was suspicions around some invoices, according to the Department of Justice allegations. As part of Tran’s job, he was allowed to authorize payments to some vendors. The indictment alleges that he had a fake $775,000 invoice submitted through Microsoft’s vendors, subverting the payment to his own bank account. He is accused of trying to submit another, $670,000 fake invoice as well, but when Microsoft’s vendors grew concerned about the nature of these invoices, they alerted the company.